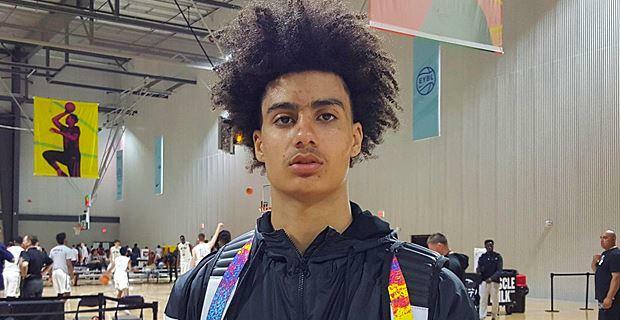 UPDATED: Thu., Nov. 16, 2017, 4:36 p.m.
Standout point guard Will Richardson on Thursday committed to Oregon, a decision that was expected by most recruiting analysts. Richardson, who is from Hinesville, Georgia, had narrowed his finalists to Oregon, Gonzaga and Georgia. The 6-foot-4, 170-pound Richardson, ranked No. 38 in ESPN.com’s Top 100 in the class of 2018, is playing his senior season at Oak Hill Academy in Virginia. Gonzaga’s chances probably dropped with the recent signing of 6-foot-6 point guard Greg Foster Jr., who is a senior at Clark High in Las Vegas. Foster and Richardson are both ranked as four-star recruits by ESPN.com with Richardson carrying a higher overall grade. Gonzaga point guard Josh Perkins is in his junior season. The Zags also have a 2019 commitment from Kittitas High point guard Brock Ravet. Published: Nov. 16, 2017, 3:57 p.m. Updated: Nov. 16, 2017, 4:36 p.m.